This week’s feedback is from Franky P of Canada, who has a question about instances of carbon dating giving negative (=future) ages. Andrew Lamb replies. I checked out the Department of Earth Sciences at Brock University and noticed that they offer a radiocarbon dating service. One of their samples BGS-43 was dated 3000 YEARS IN THE FUTURE, more than once. The website I found it at was http://www.brocku.ca/earthsciences/includes/c14Form.html. Do a <CTRL> - f and type in the sample code, BGS-43, then look on the farthest right column and you will find this information. I found this very curious and thought you might as well. Thank you for your email of 6 March, submitted via our website. Several examples of future carbon dates appear in some research done on silk cloth.1 In this case fake antique silks were easily distinguished from authentic antique silks by their negative carbon dating ages, ranging from 900 to 1,600 years into the future. There is evidence of changes in carbon isotope ratios from era to era, region to region, species to species, and even from one part of an individual organism to another part. Isotope levels can be measured extremely accurately, much more accurately than when carbon-dating methods were first devised. However, this doesn’t mean that carbon-dating is any more reliable. 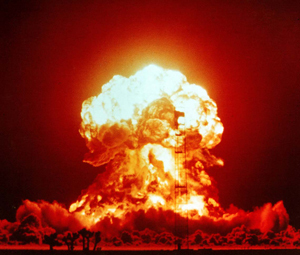 Radioisotope dating relies on unprovable assumptions about the past, and unless we have reliable historical dates for objects, we cannot be certain that their calculated ages are accurate. The only reliable way to date anything is by the historical method—relying on trustworthy records such as the Bible. See Immeasurable Age. For example Australian archaeologist Dr Josephine Flood rejected the 30,000 year carbon-dates for ‘Mungo Man’ because she believes, based on other dating methods such as electron spin resonance, that Mungo Man is 60,000 years old.3 Both methods can’t be right, but both can be wrong, and we know from the accurate history recorded in the Bible that in this case both are wrong. There is evidence of changes in carbon isotope ratios from era to era, region to region, species to species, and even from one part of an individual organism to another part. 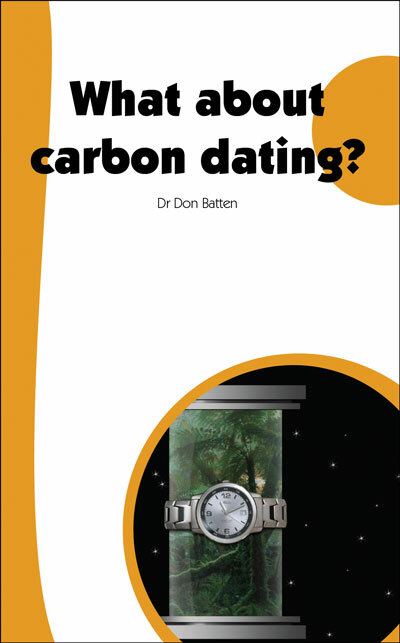 For examples, see the section ‘Other factors affecting carbon dating’ from Chapter 4 ‘What about carbon dating?’ of The Creation Answers Book. I highly recommend getting a copy of this book. Besides these regular changes, which secular scientists try to take into account, there was a unique event in earth’s history that also greatly upset the carbon balance, but which the scientific establishment refuses to take into account when calibrating the carbon-dating method. That event was the Flood. There was massive worldwide volcanism during the Flood, with massive volumes of dust, CO2, and water vapour being ejected into the atmosphere. 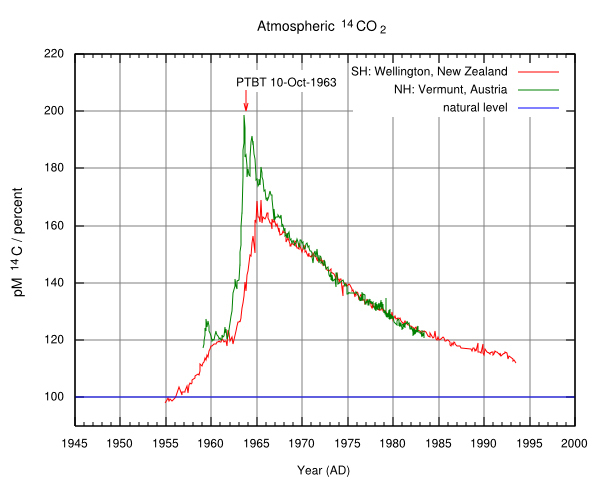 Volcanic CO2 tends not to contain 14C, just normal carbon. The ratio of 14C to 12C in the atmosphere would thus have become greatly diluted during the Flood, and would have remained low for many centuries, as the level gradually built up again towards equilibrium. Animals and plants in the immediate post-Flood centuries would have absorbed and ingested less 14C than modern (i.e. pre-nuclear bomb) era organisms. Hence artefacts from the first post-Flood millennium will generate ages older than they really are, due to starting with less 14C than would be expected based on the incorrect assumption that the ratio then was the same as in modern times. Carbon ‘dates’ older than 3000 years are likely to be grossly inflated. The strength of the earth’s magnetic field has been steadily decreasing, meaning more solar radiation is reaching the atmosphere, and thus more 14C is being produced in our atmosphere. So even without atomic bomb testing, the atmospheric ratio of 14C to 12C may have been increasing, albeit very gradually. Note that the ‘natural level’ in the graph above is assumed. In fact the atmospheric carbon system may never have been in equilibrium. The blue line on that graph represents a mythical uniformitarian ideal that has not existed in the short period that records of atmospheric isotope levels have been kept. And yet the edifice of carbon dating basically relies on extrapolating this romanticized straight blue line 50,000 years into the past! This is not good science. Carbon dating began in the late 1940s and some of the first things to be carbon dated were Egyptian artefacts, including the coffin of Pharaoh Djoser. The date of this pharaoh’s death was already considered to be accurately established, at 2750 BC. We know this date is incorrect because Egypt is a post-Flood civilization and this date precedes the Flood by several hundred years. Tests like these on ancient Egyptian artefacts formed the basis for the calibration of the carbon dating method. But scholars are now coming to the realisation that the traditionally accepted Egyptian chronology was greatly in error, and needs shortening by hundreds of years. A revolution in ancient chronology has been steadily building over the last decade, with a number of scholars publishing hard-to-refute evidence that traditional Egyptian chronologies are overextended by many hundreds of years.5 More and more archaeologists are beginning to accept that revision is inevitable. On the issue of an accurate chronology of ancient history, see Searching for Moses and In the days of Peleg. Carbon dating actually tends to be the creationist’s friend because carbon-14 is found in many samples that are supposed to be millions of years old, when there should be no 14C left according to uniformitarian assumptions. 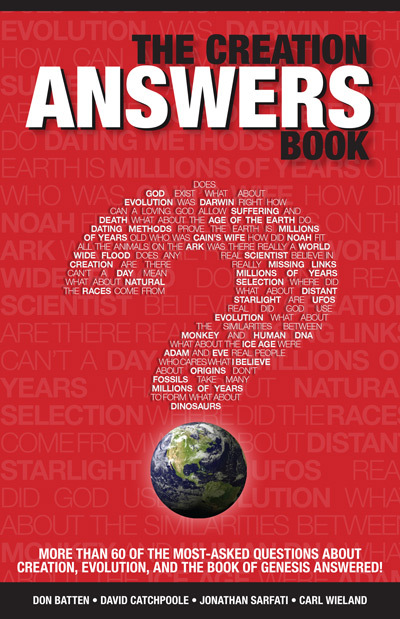 For examples, see Dating Dilemma: Fossil wood in ‘ancient’ sandstone, Geological conflict, and Diamonds: a creationist’s best friend. For those with the inclination, abundant evidence is available with which they can verify to themselves the unreliability of radiometric dating methods, including the carbon method. 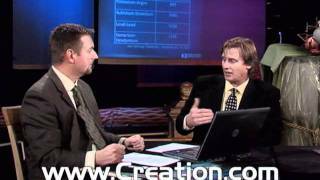 Radioisotope dating—An evolutionist's best friend? Few archaeologists who have concerned themselves with absolute chronology are innocent of having sometimes applied this method, and many are still hesitant to accept C14 dates without reservations. Another worthwhile resource on the need to drastically shorten Egyptian chronology is James Jordan, The Egyptian Problem, Biblical Chronology 6(1), January 1994. We have supplied this link to an article on an external website in good faith. But we cannot assume responsibility for, nor be taken as endorsing in any way, any other content or links on any such site. Even the article we are directing you to could, in principle, change without notice on sites we do not control.